Calgary symposium offers tips and networking opportunities for immigrant entrepreneurs. The oil shock has turned a lot of company men and women into entrepreneurs of uncertain standing. On Friday at the Southern Alberta Institute of Technology (SAIT), a unique group of entrepreneurs who happened to also be newcomers to Canada attended an event designed to expand their entrepreneurial toolkits so that they might expand their collective profit margins. The gathering heard testimonies from a number of newcomers, including one man, Amit Pandey, who has only been in Canada a year, and launched his own e-commerce site last month. According to Pandey, who spoke with CBC's Terri Trembath, his business sells clothing and lifestyle accessories — and he was anxious to absorb all the information he could about doing business with Canadians, he said. "I wanted to meet the people who have succeeded or failed in entrepreneurship so that I could learn from their mistakes and I could learn from what they did right," Pandey said. 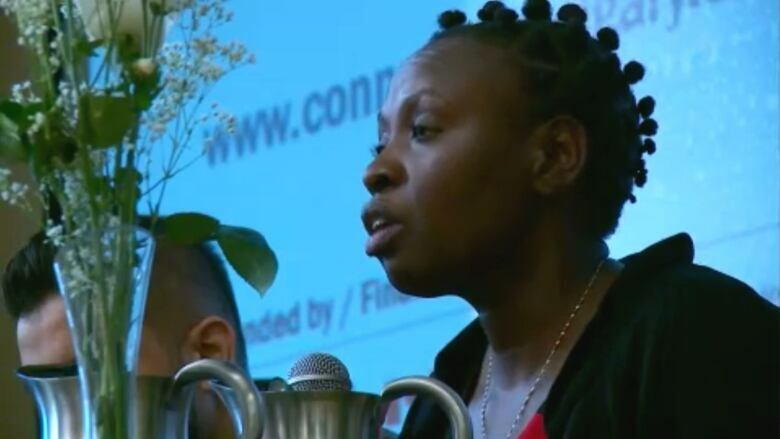 Evelyn Nyairo moved to Canada from Kenya as a teenager over 20 years ago. Now, Nyairo runs five different small businesses. She told the crowd assembled at SAIT that the reality was there are different obstacles for immigrant entrepreneurs. "There's going to be [a] perception [of you] and it's the truth. You're going to walk into the bank. They're going to look at you and they see what you need. So there's a risk. You're not rooted here. You don't have a credit history here." Nyairo said the key was to stay passionate and persevere. 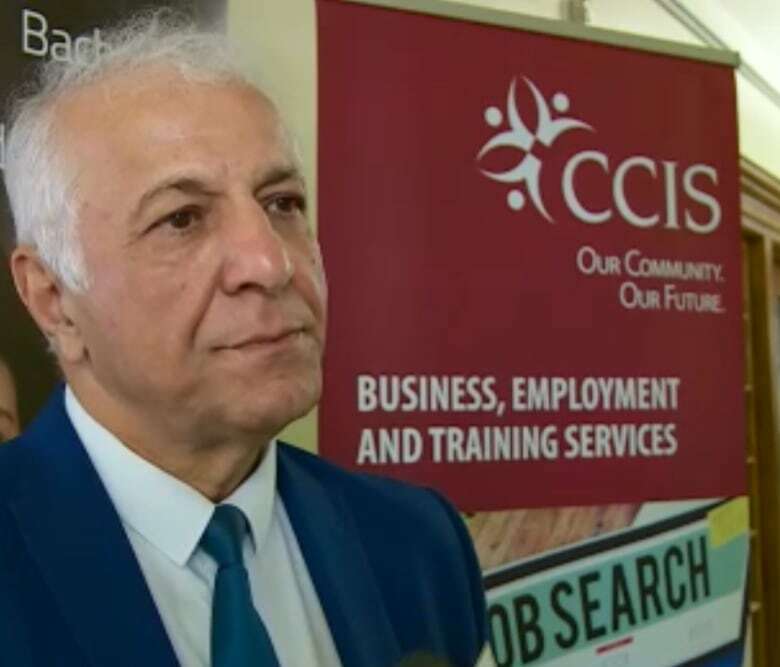 Fariborz Birjandian, the CEO of the Calgary Catholic Immigration Society who hosted Friday's event, said it was designed to provide newcomer entrepreneurs with more tools to help them succeed in a competitive marketplace. "People have to understand the Canadian way of doing business," Birjandian said. "That's what we want to make sure they do [today]: get as much support and understanding before they start a business, because we don't want them to fail." "A lot of people don't take the time to understand, or they don't have the mentorship that they require, or they don't have the connection networking — or understand the culture of consumers in Alberta, and how customer service is." On the upside, Birjandian, a former naval officer turned social worker who has called Calgary home for over 30 years, said that immigration and settlement in Canada has proven to be a huge success story, and nowhere more than in Calgary, which has grown from a city of half a million people to over 1.2 million, many of them Canadian newcomers. "Obviously, they've done well. That's why we have a city that's been identified as one of the most desirable and livable in the entire world," Birjandian said. And if many newcomers may still need a crash course in doing business the Canadian way, Birjandian said they collectively bring a huge upside to the city and country. "We feel the human capital people bring, the enthusiasm they bring, the energy that they have — in most cases, entrepreneurship is actually a better choice for them than just looking for a job. "We are really giving them that message right from the beginning," he added. "Look at what you can create, what you can innovate — and what you can sell."